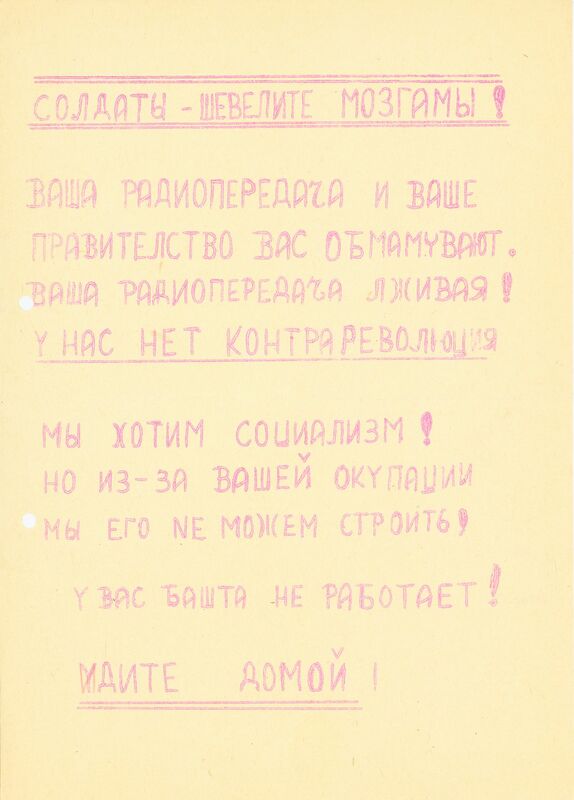 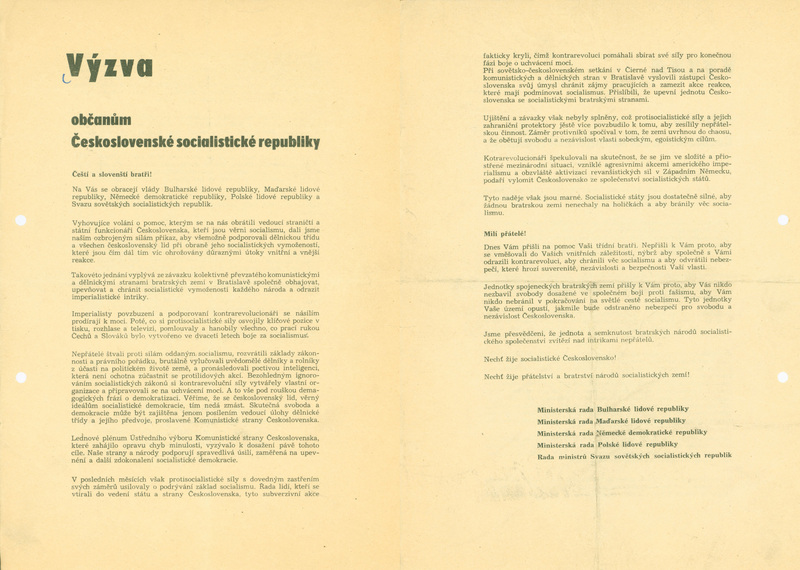 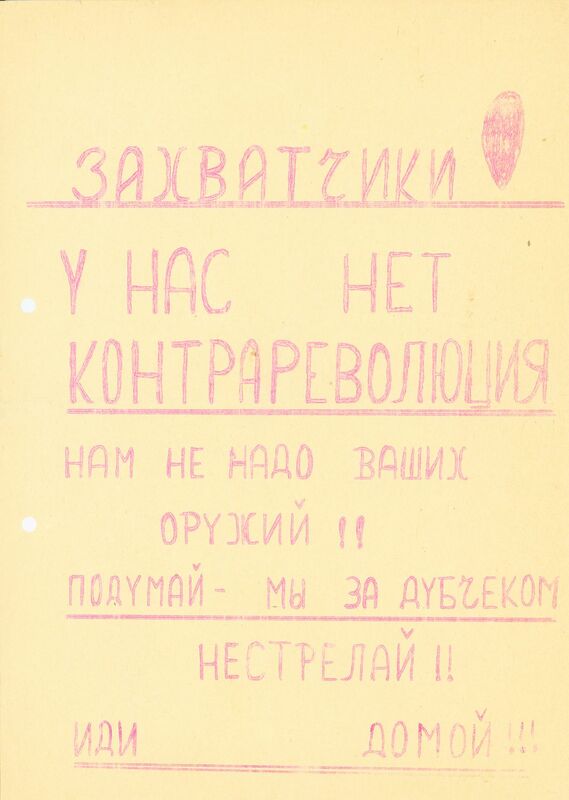 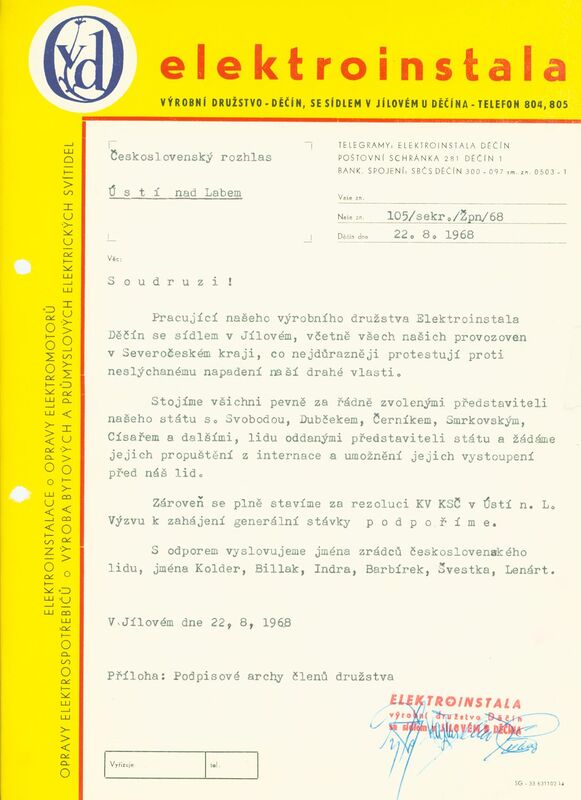 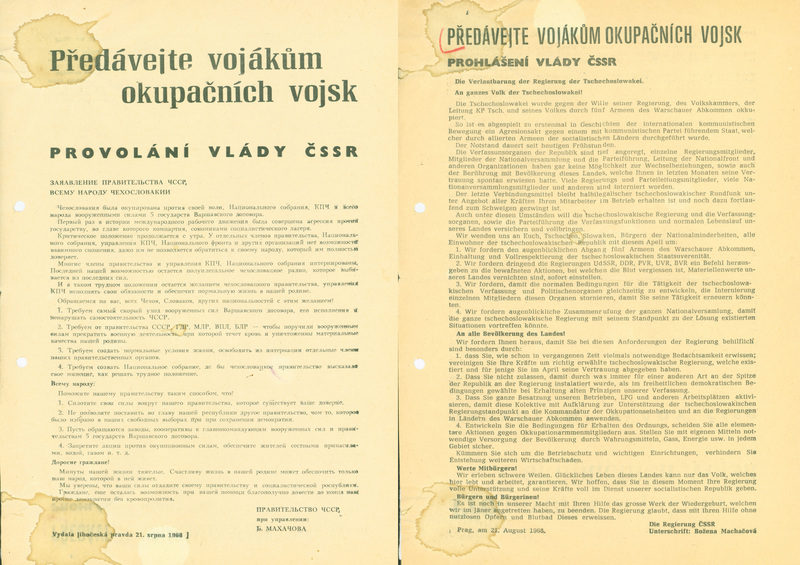 This small collection of original leaflets and resolutions is part of a larger set of original documents collected in Czechoslovakia and then clandestinely taken to Munich, West Germany, where they were deposited with the Research Institute of Radio Free Europe. 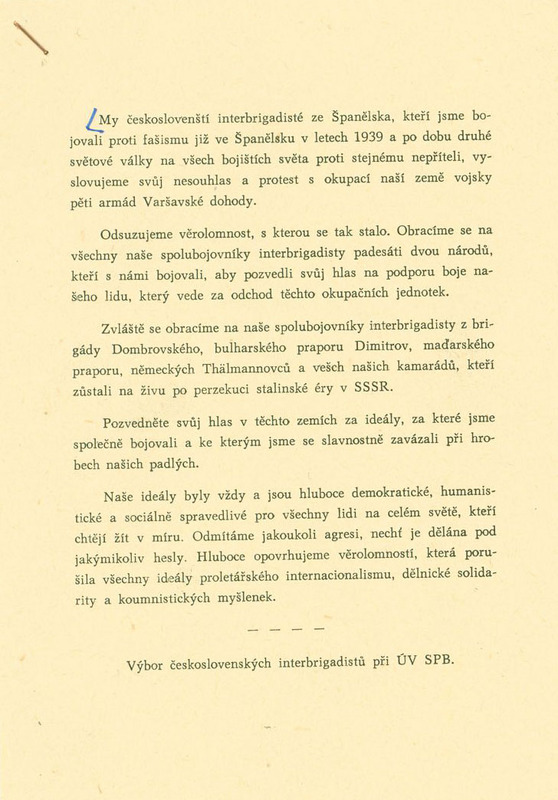 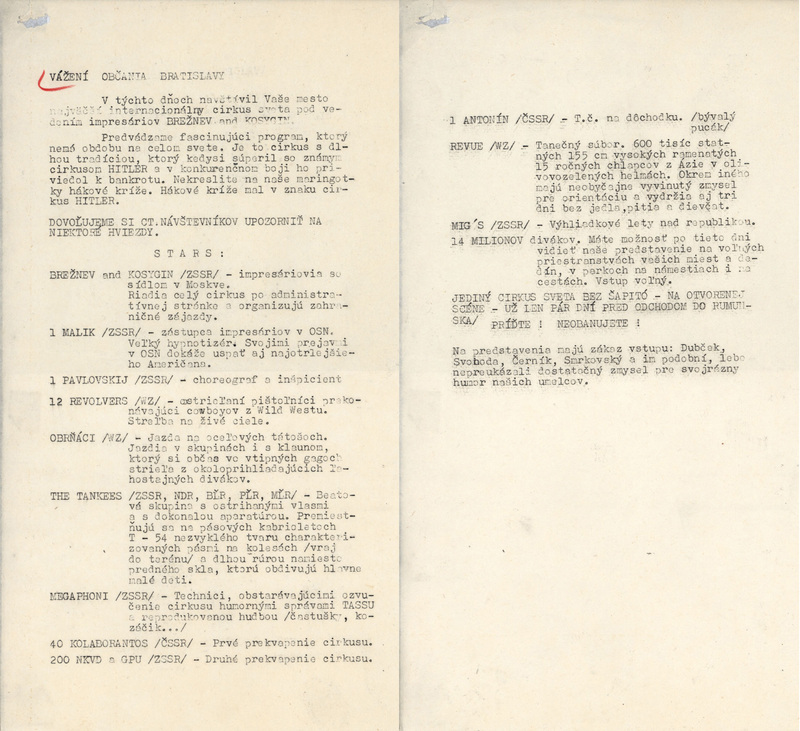 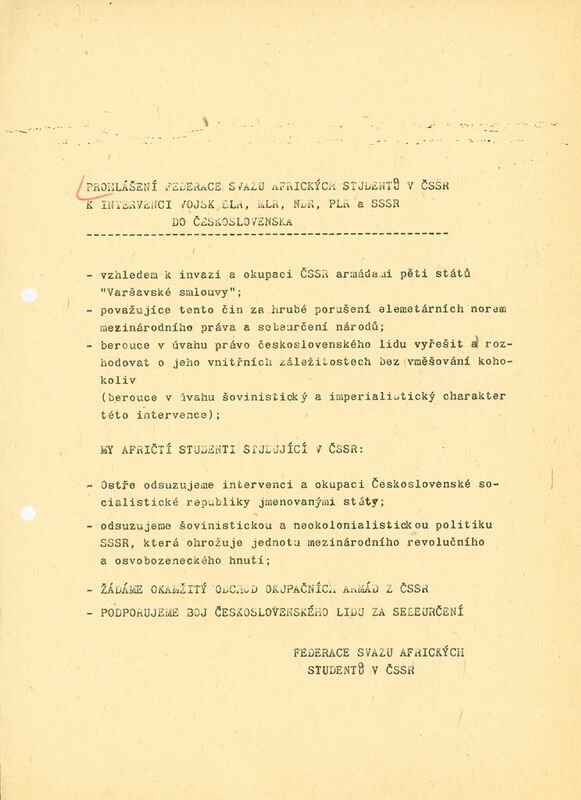 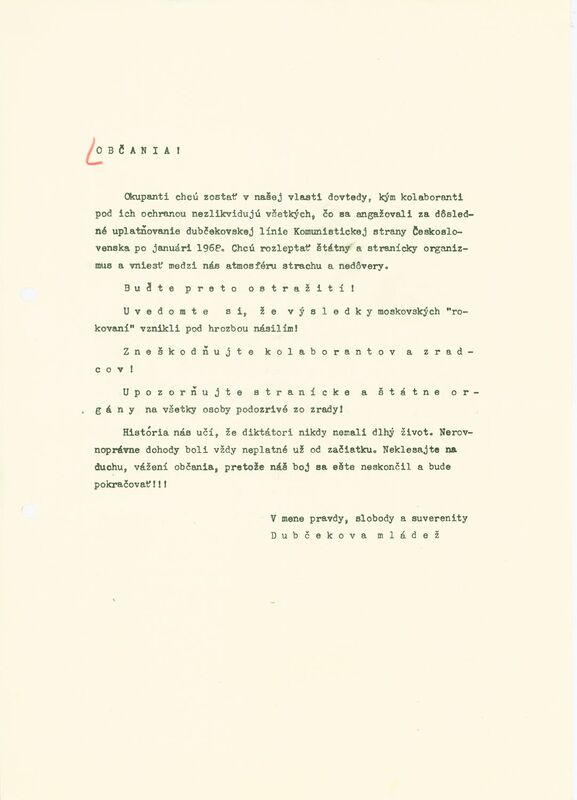 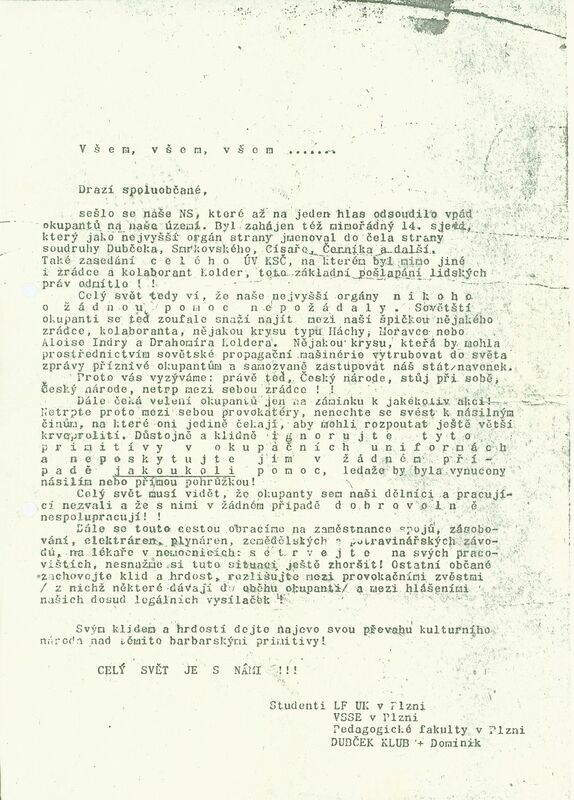 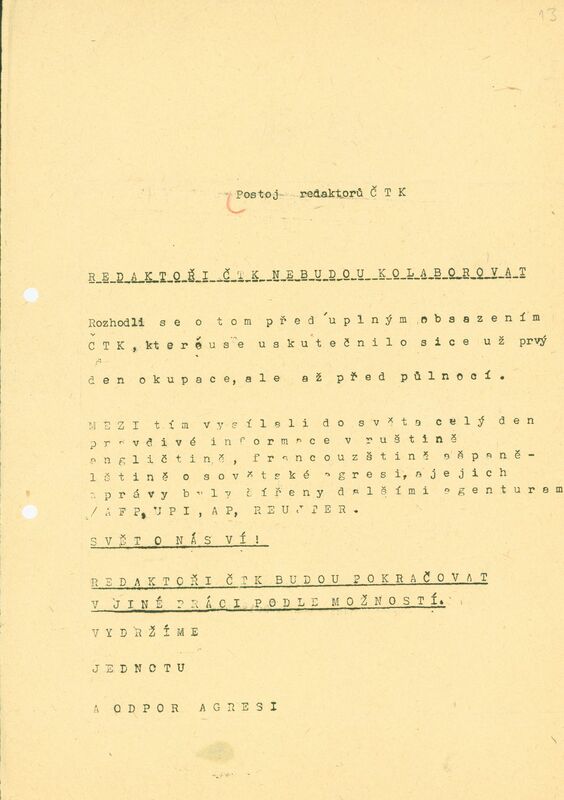 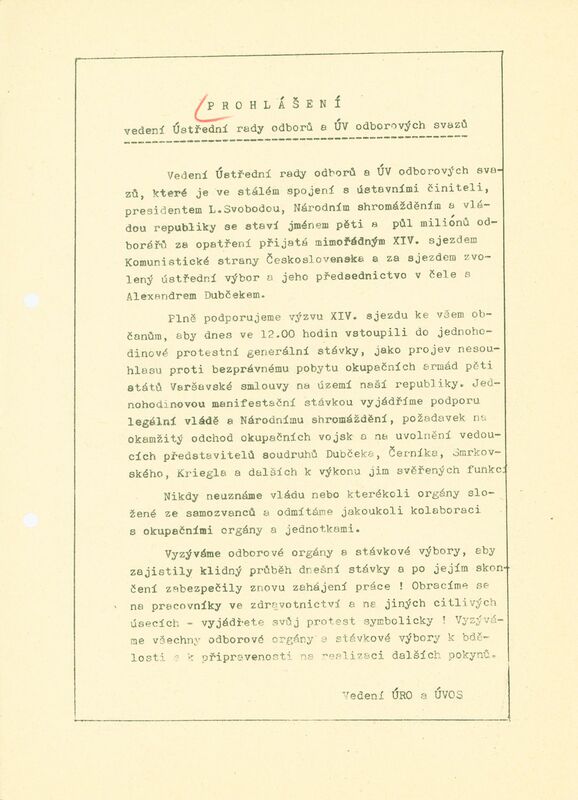 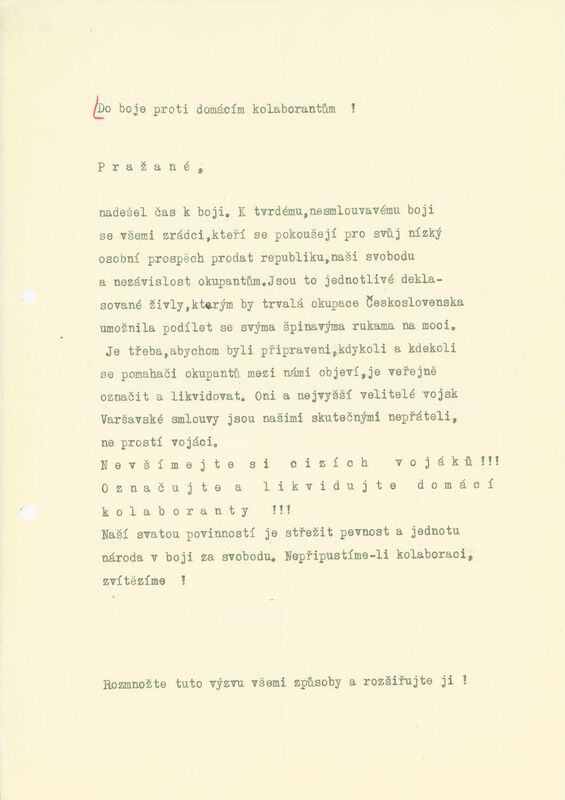 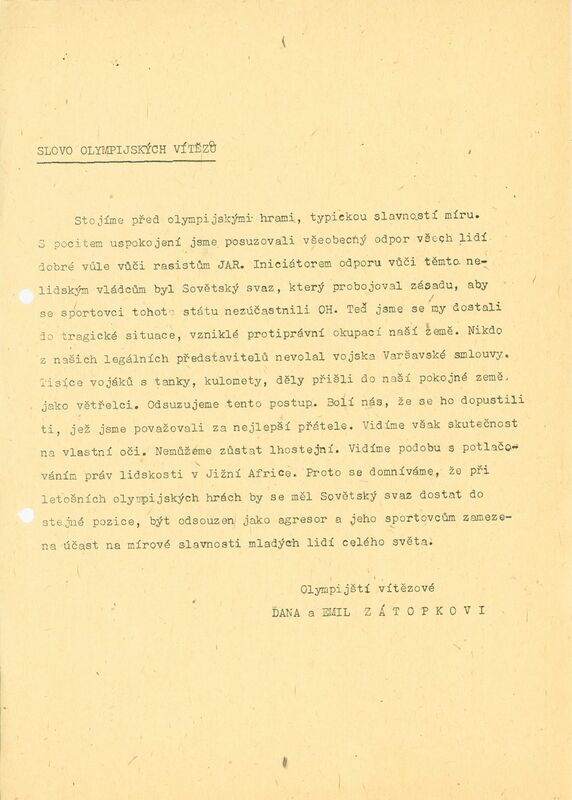 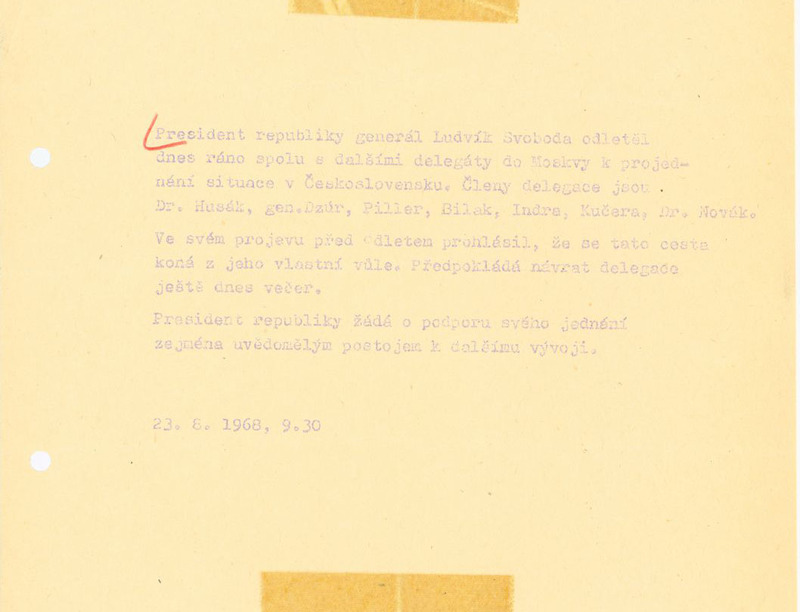 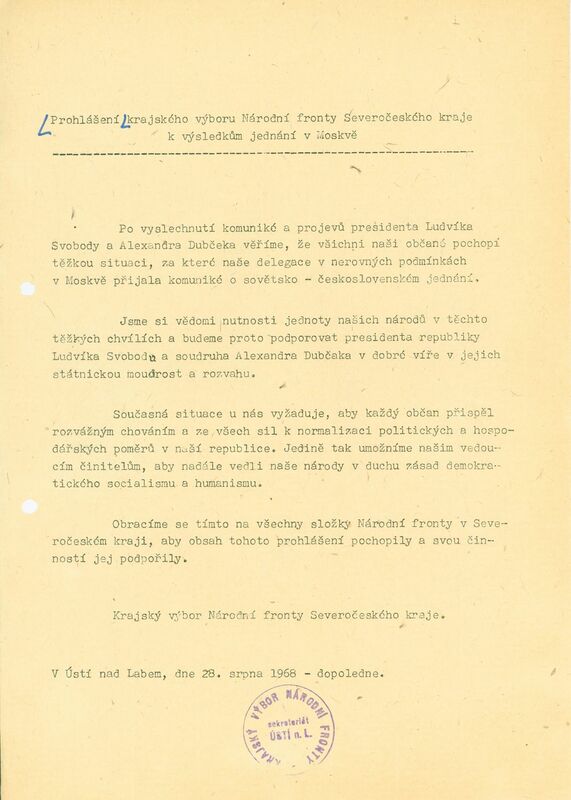 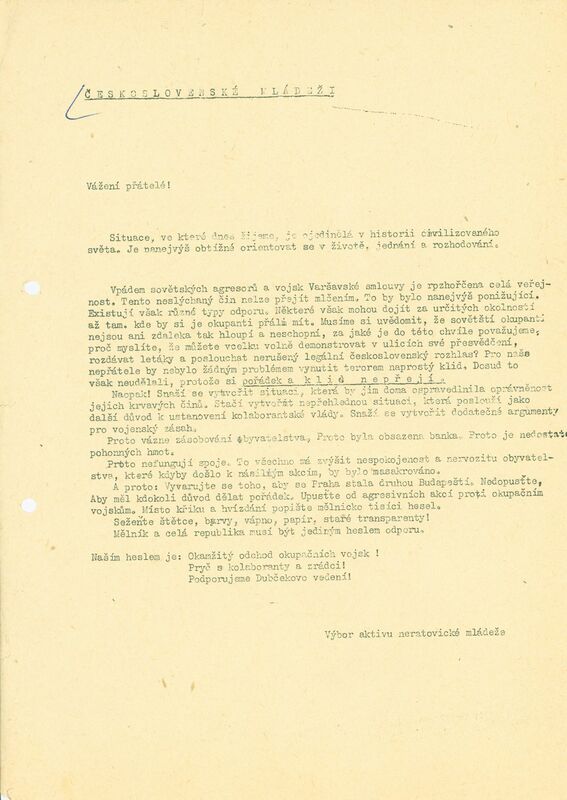 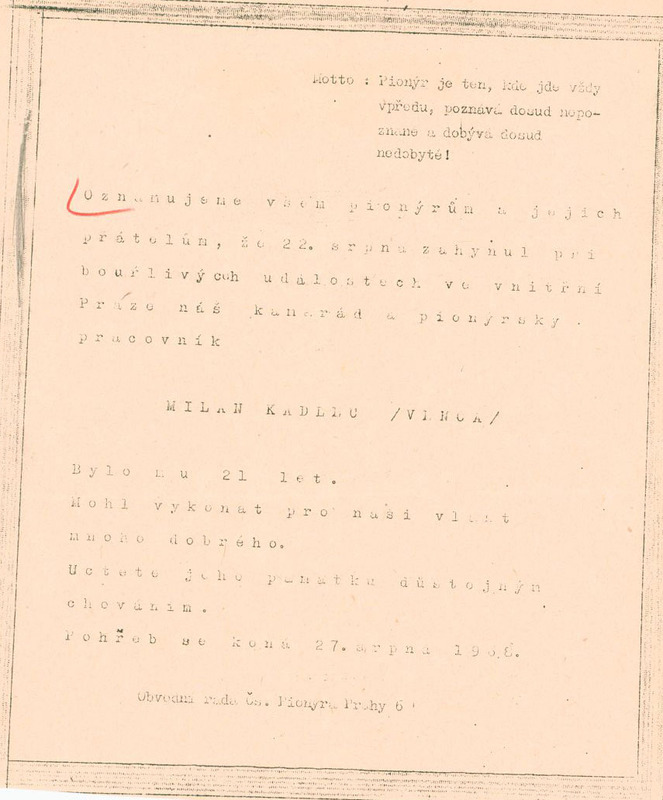 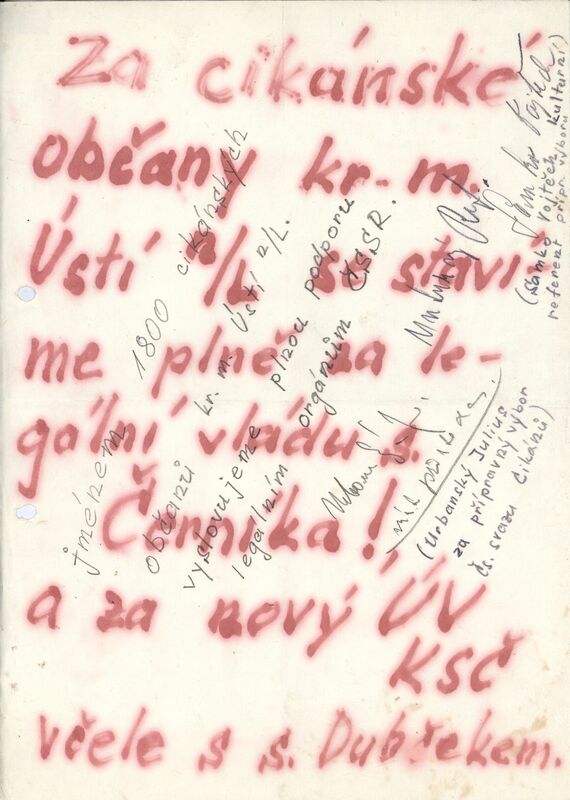 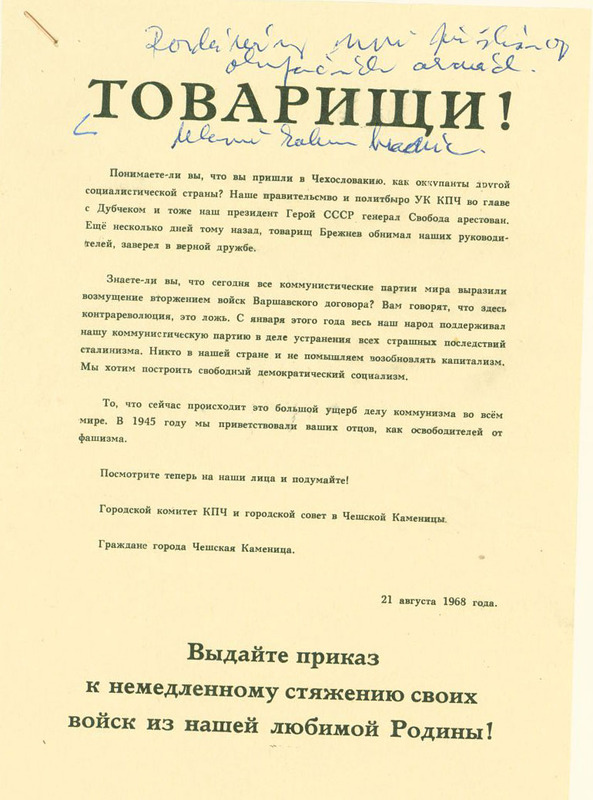 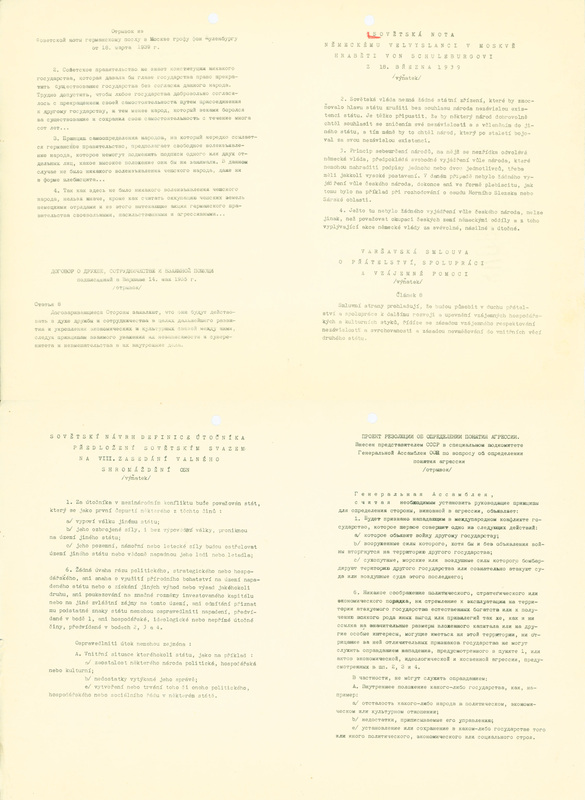 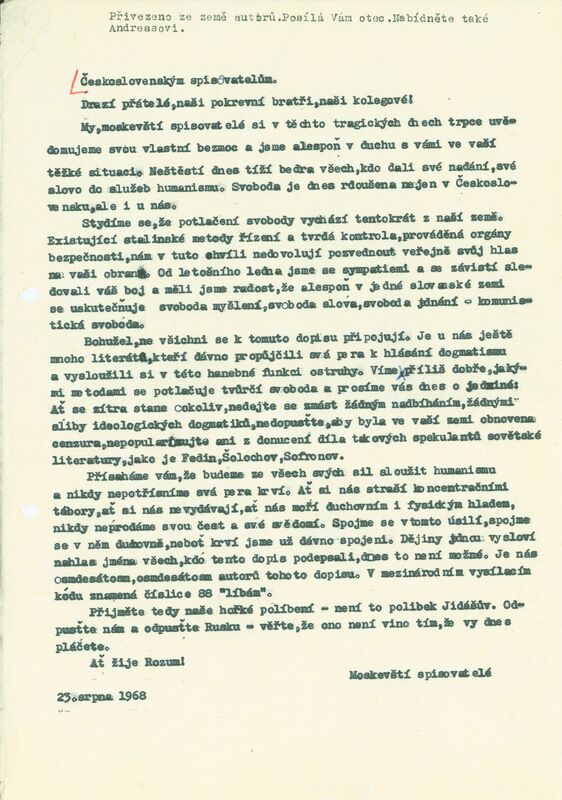 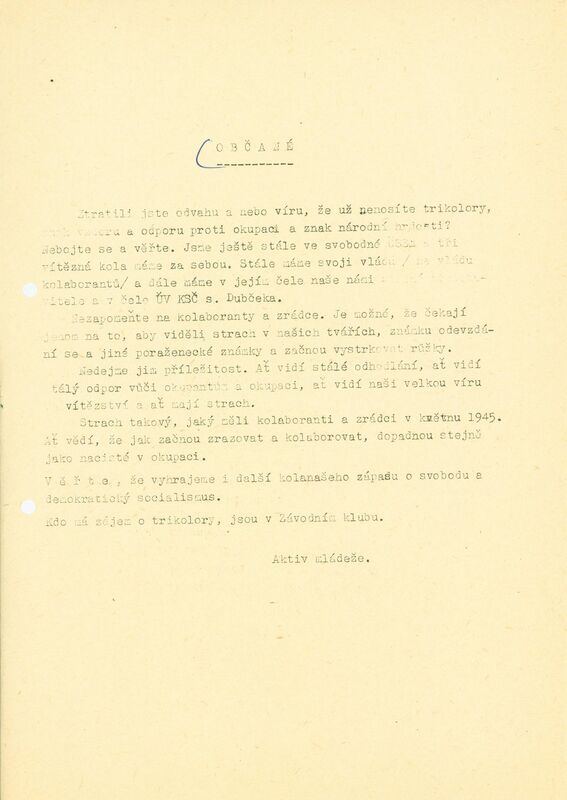 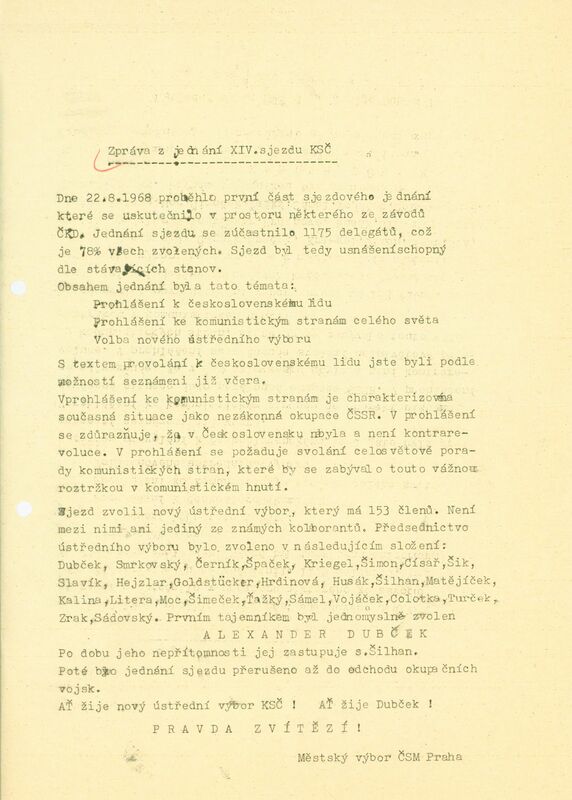 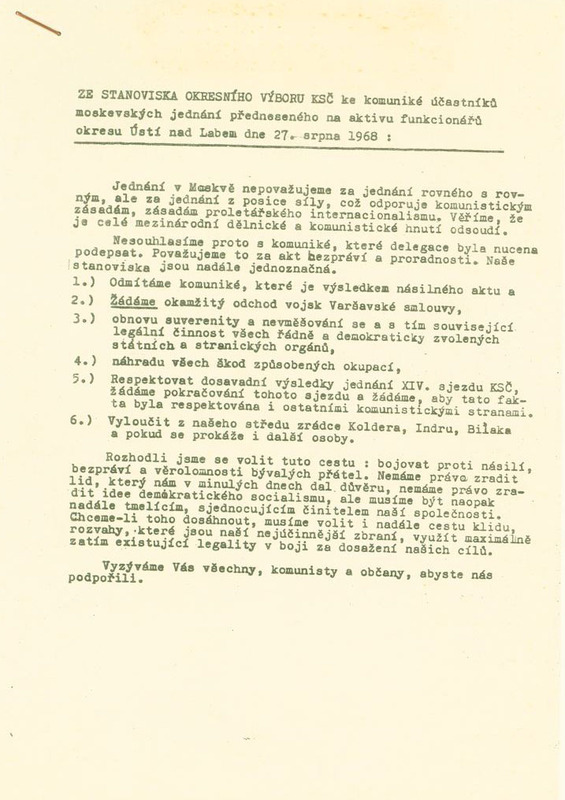 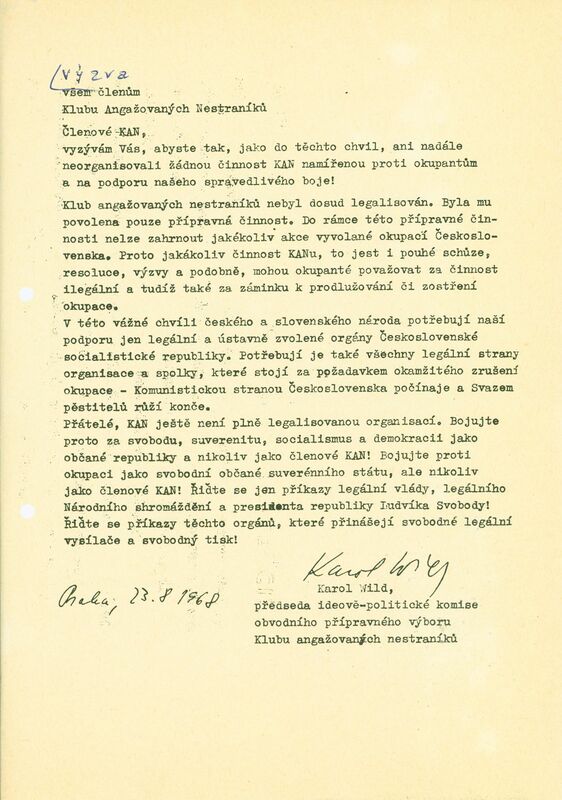 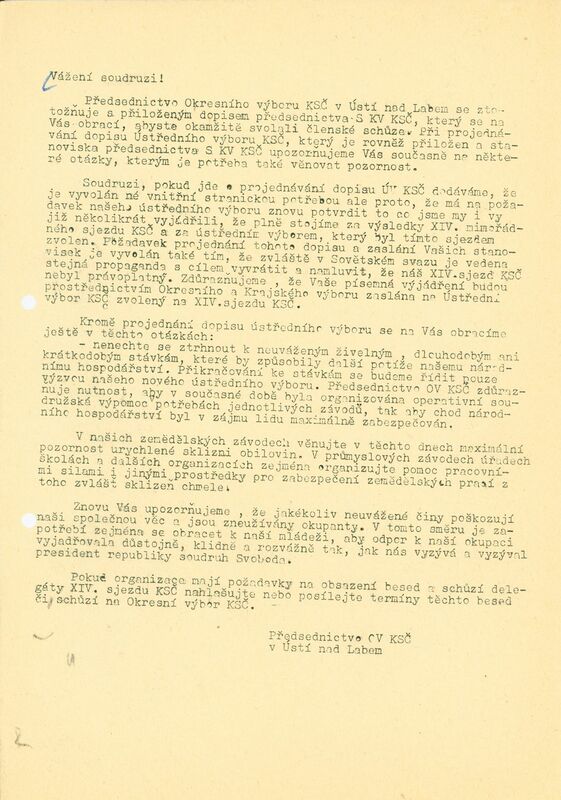 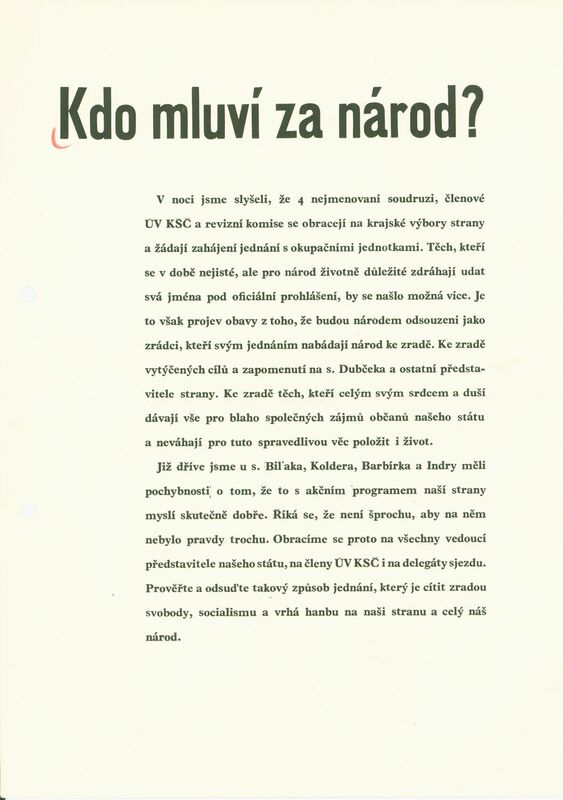 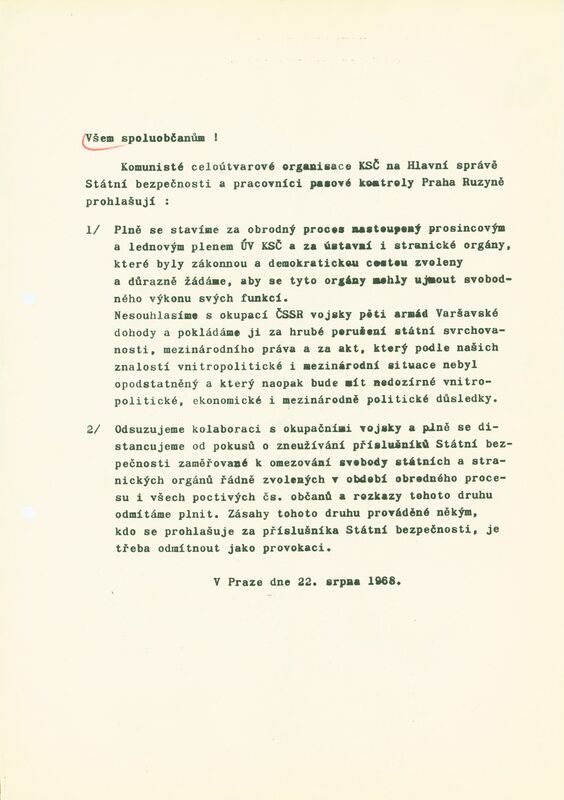 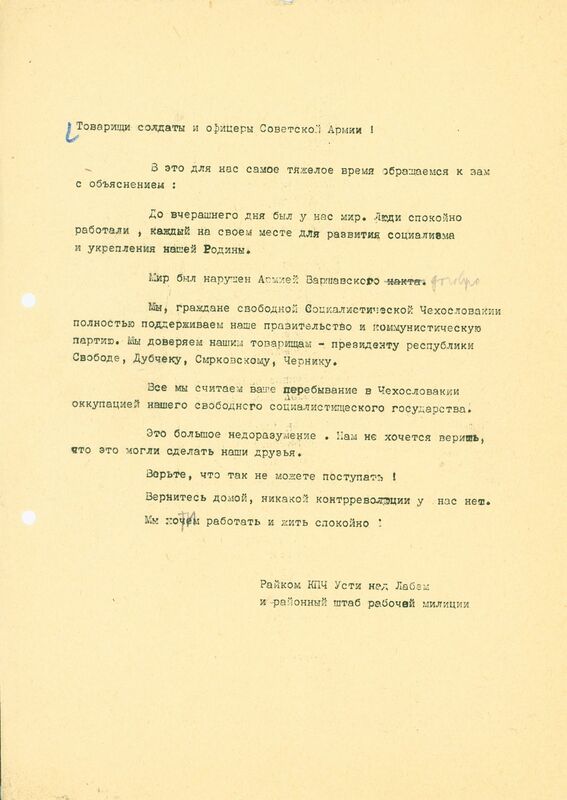 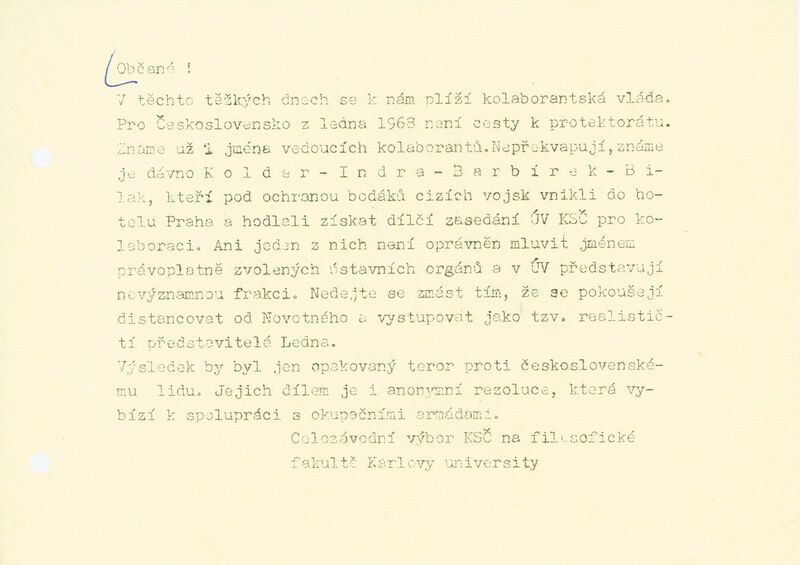 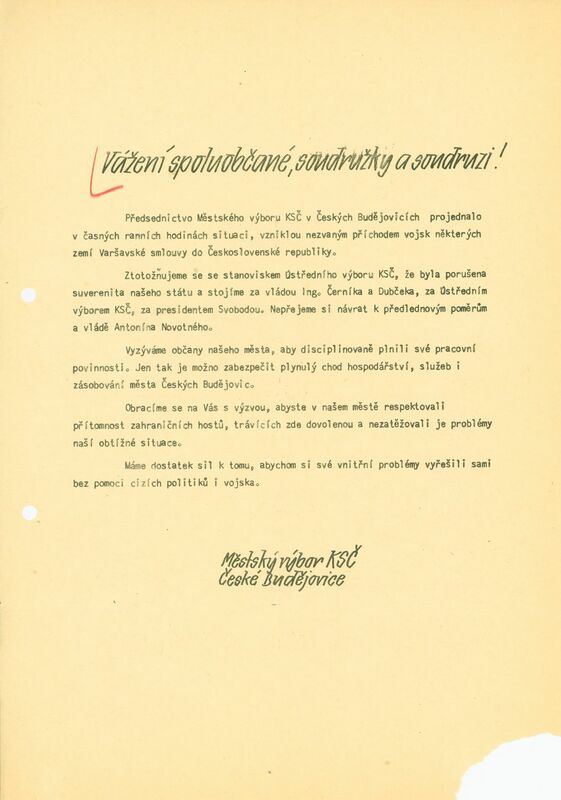 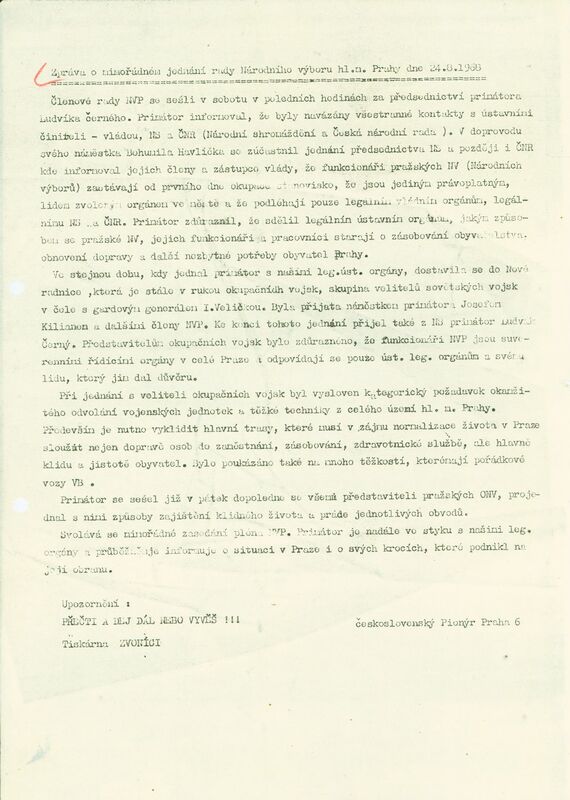 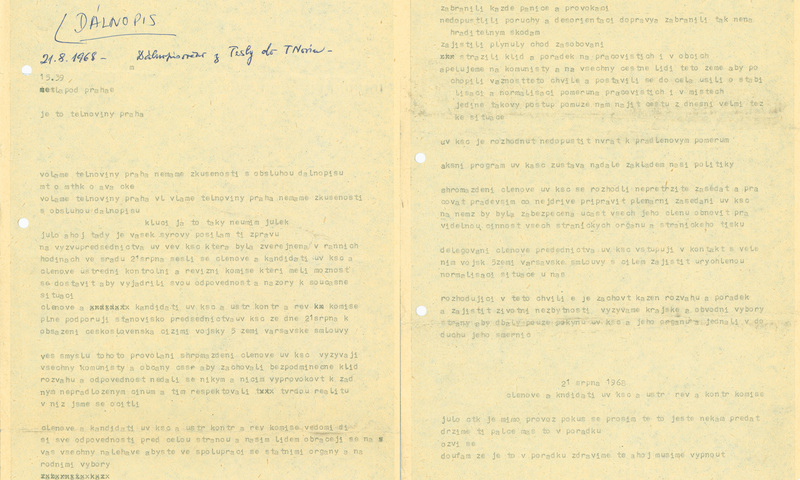 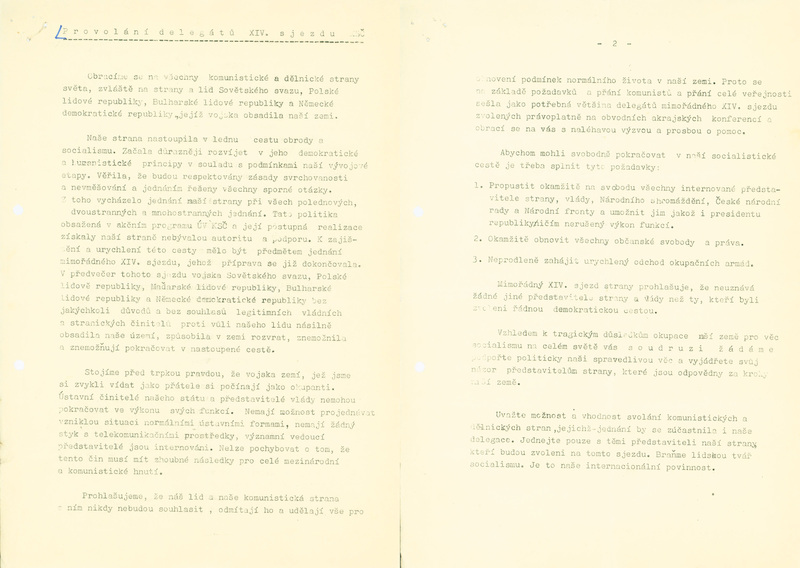 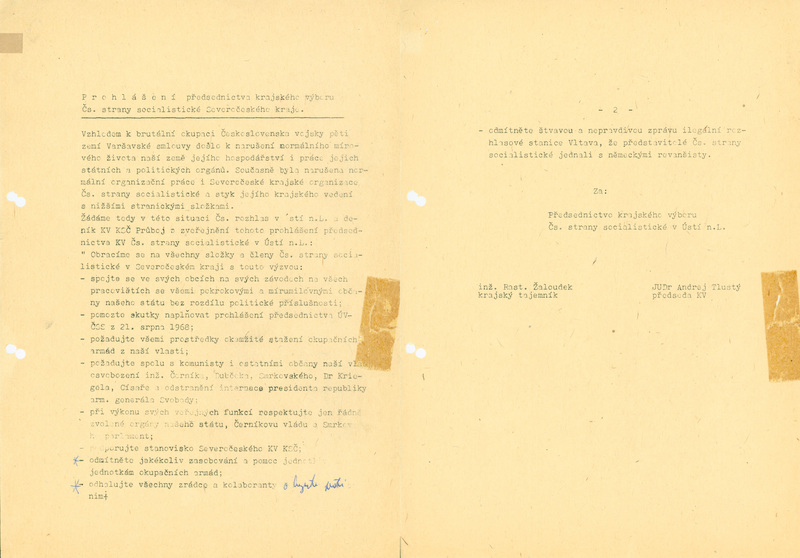 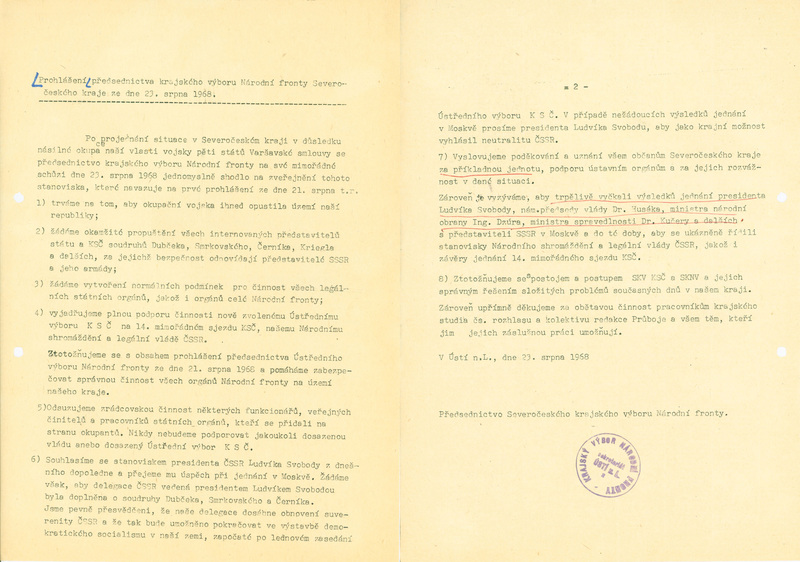 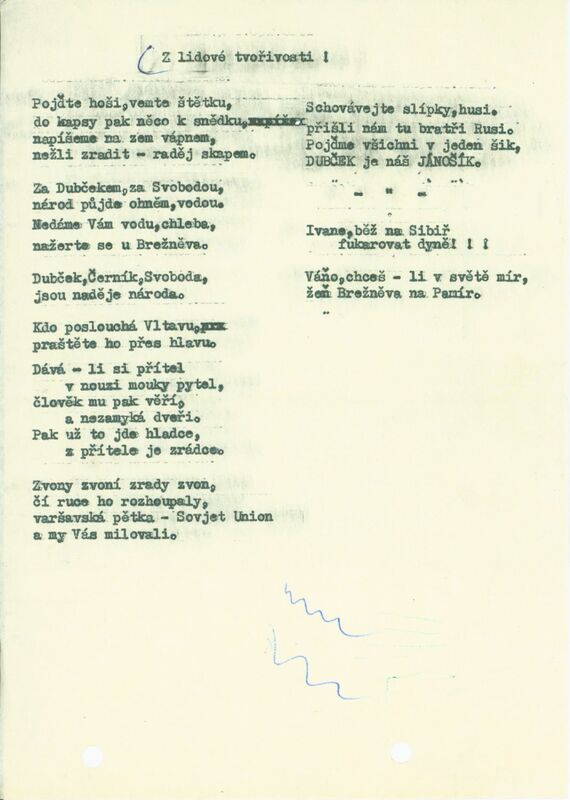 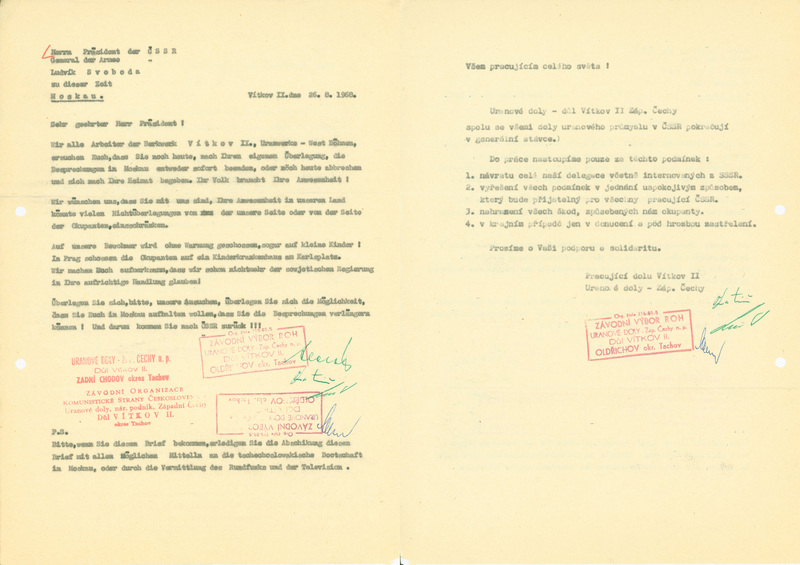 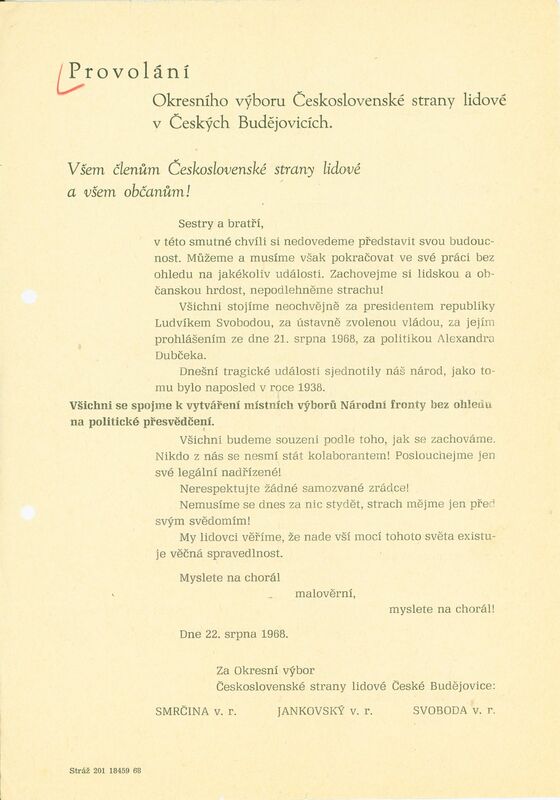 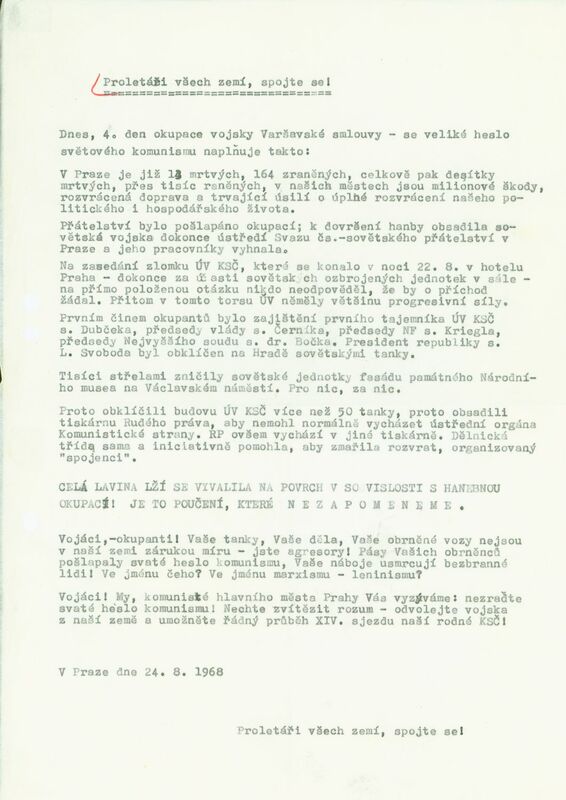 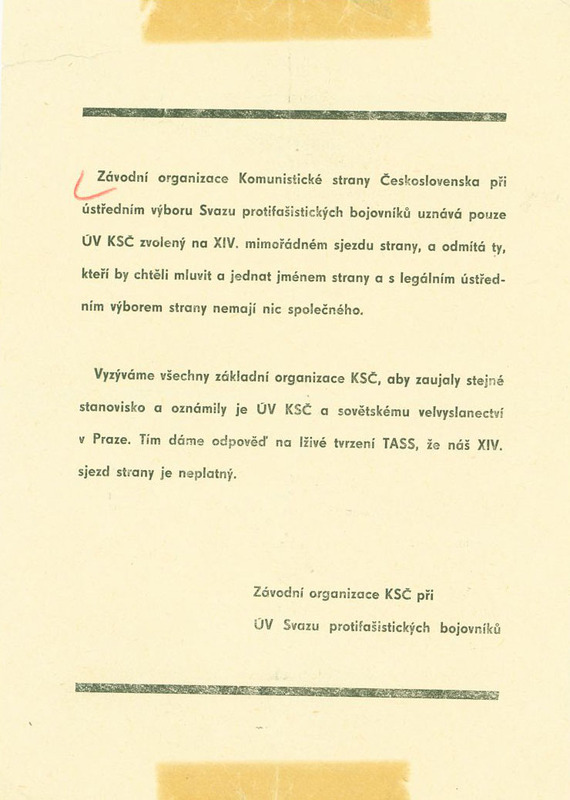 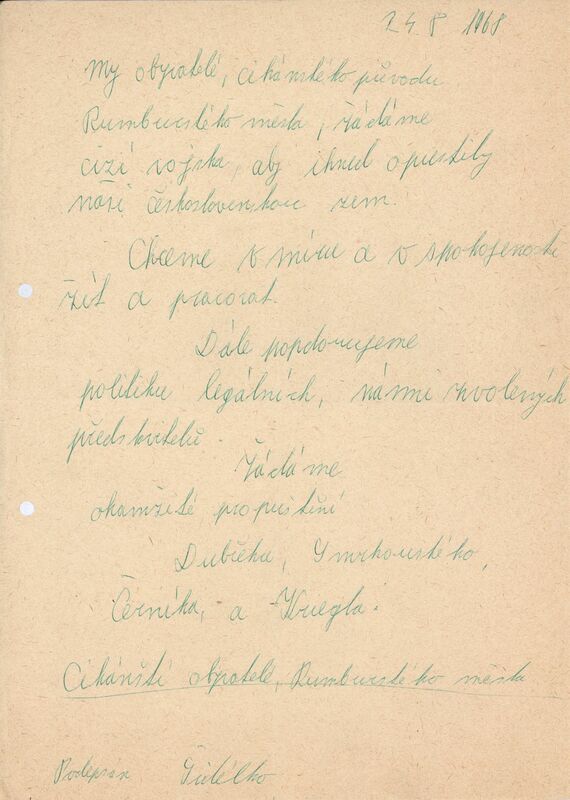 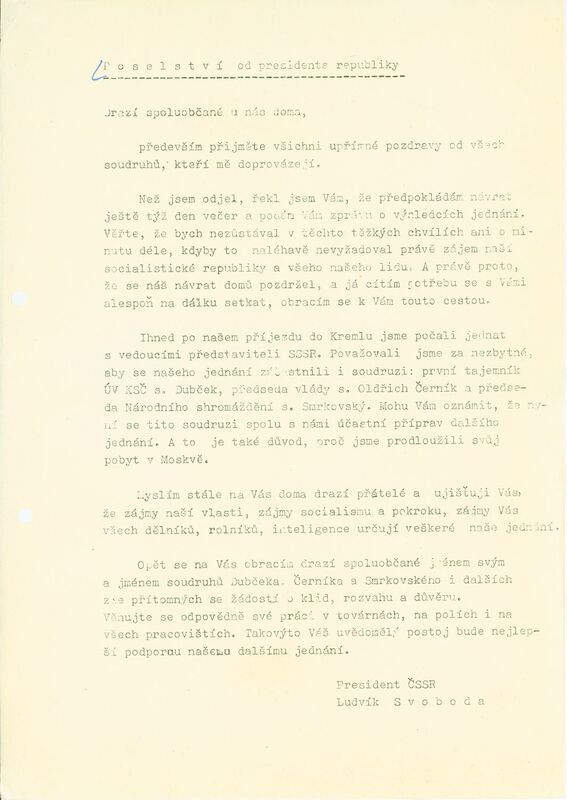 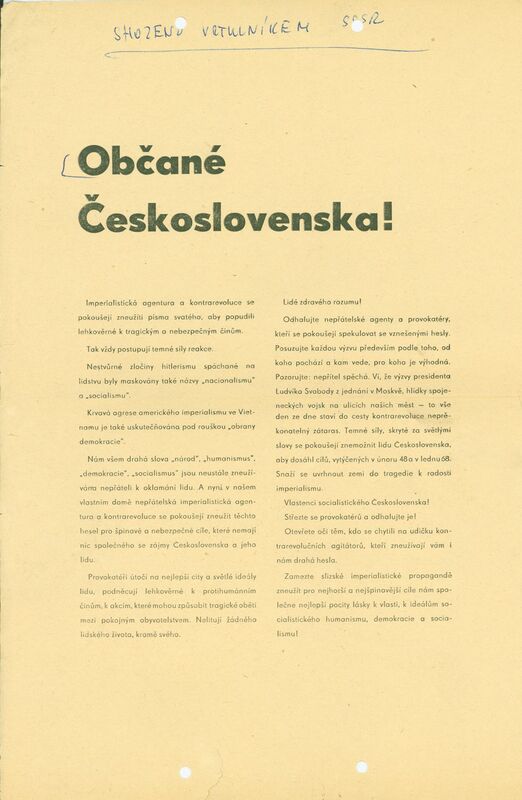 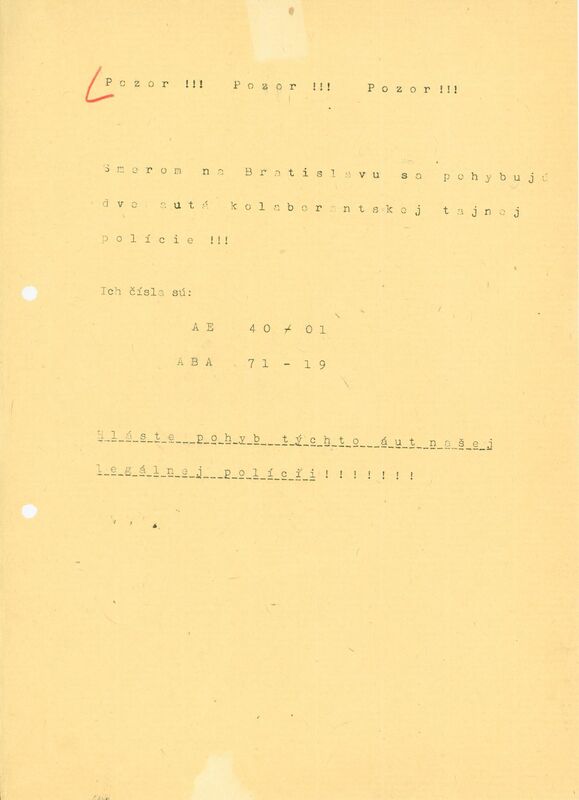 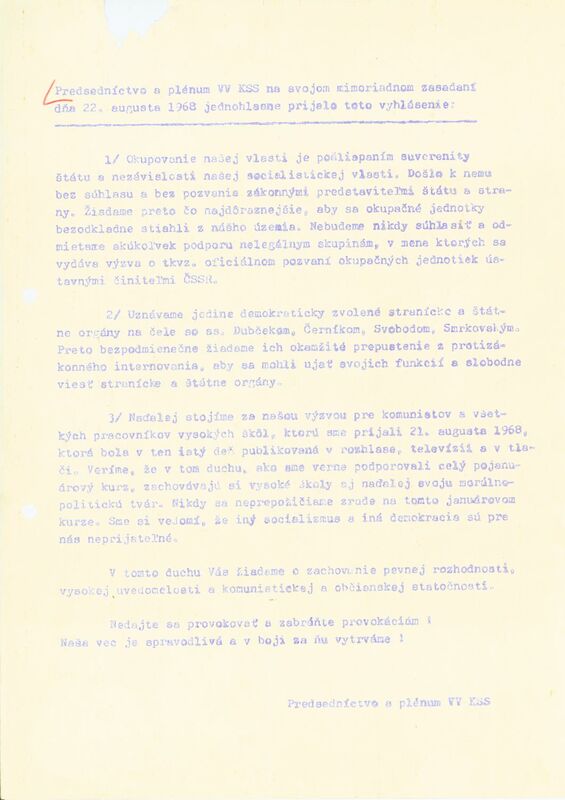 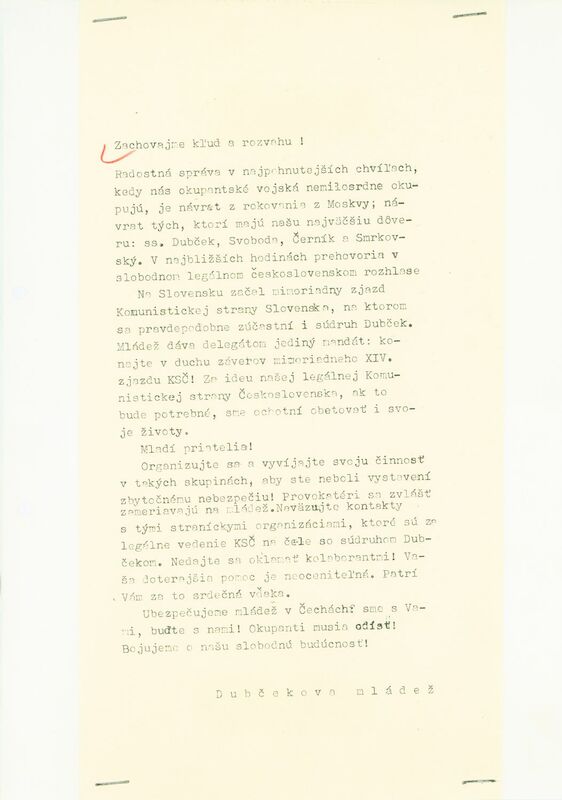 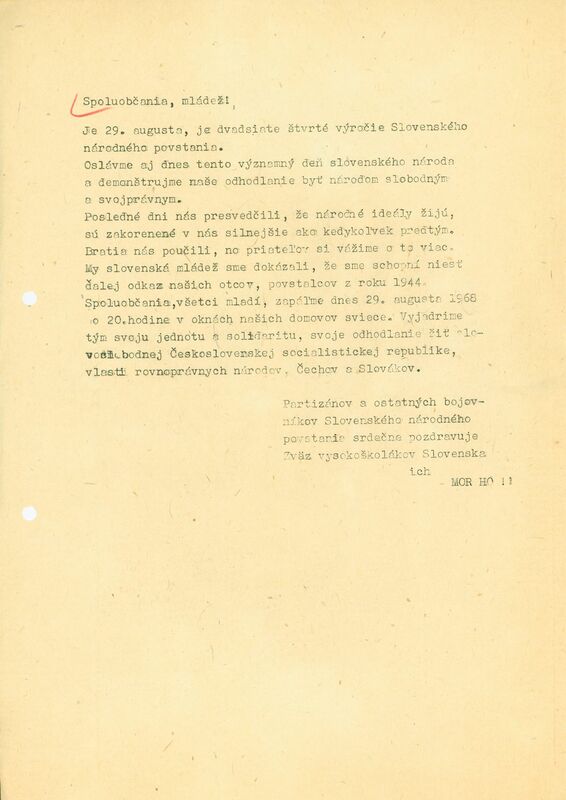 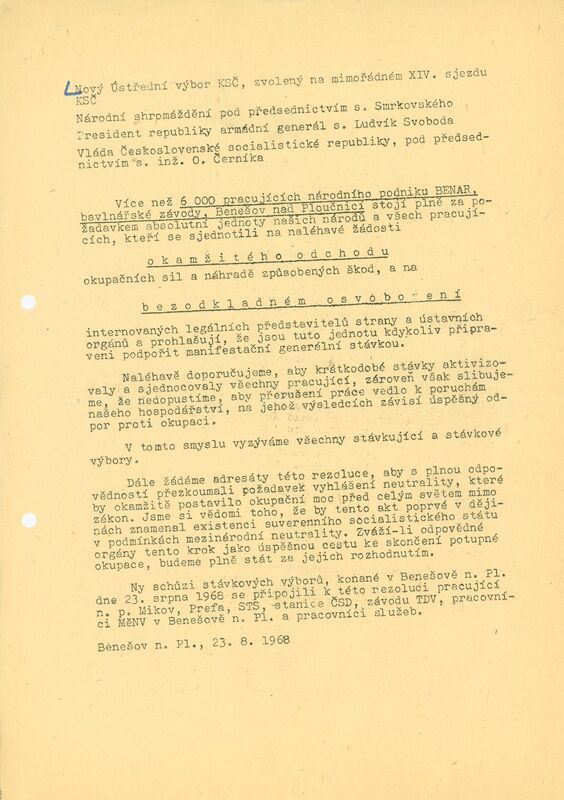 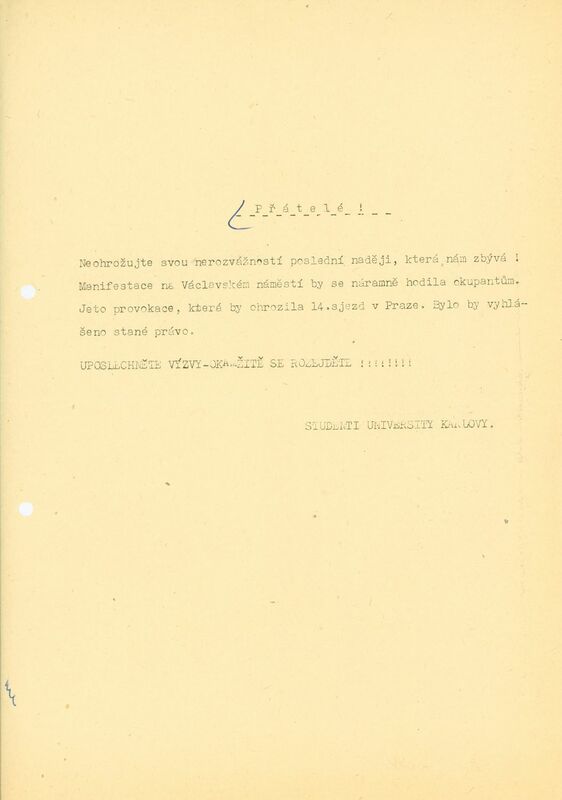 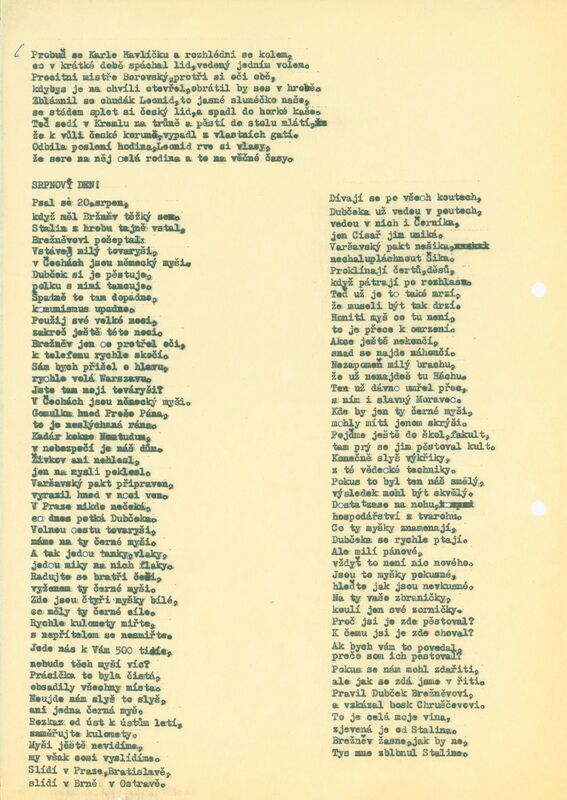 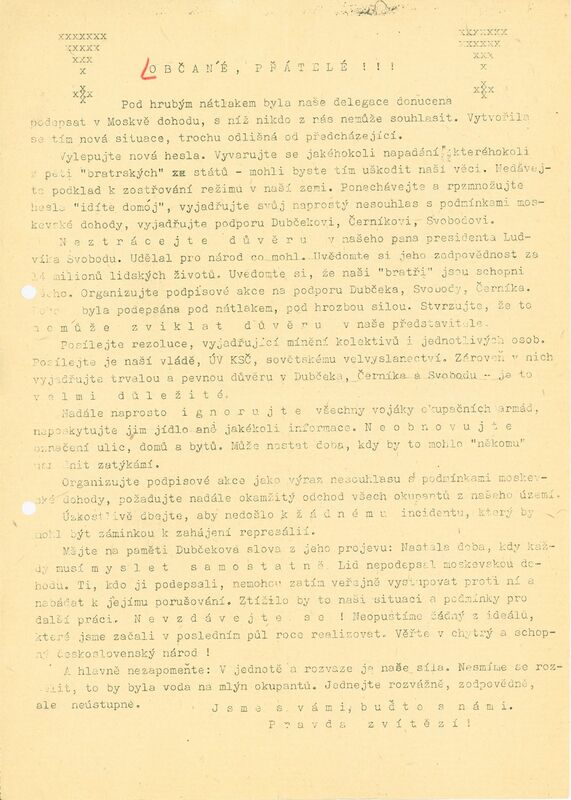 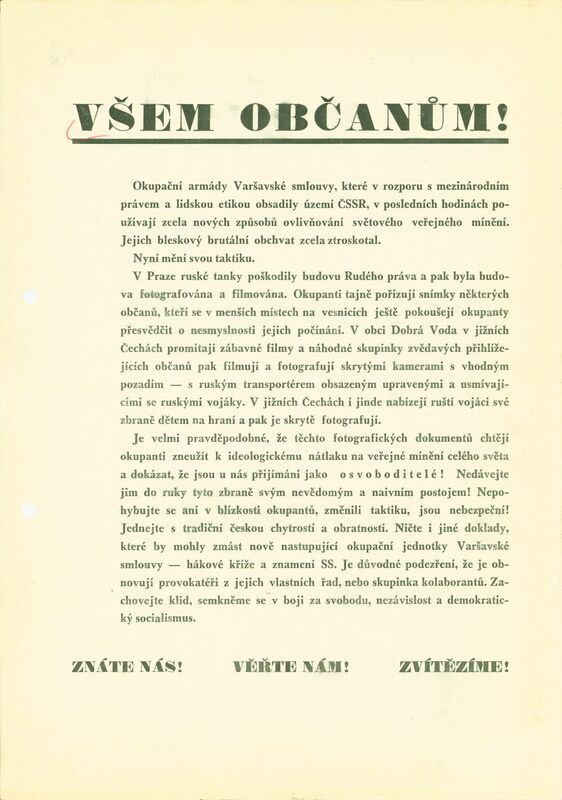 Among these documents there are leaflets addressed to the occupying forces by the local population, leaflets addressed to the citizens of Czechoslovakia by the Soviet army, letters of support for the Dubček government issued by various local organizations and citizens’ groups, including a hand-written letter of support signed by the Gypsy population of Ústí nad Labem. 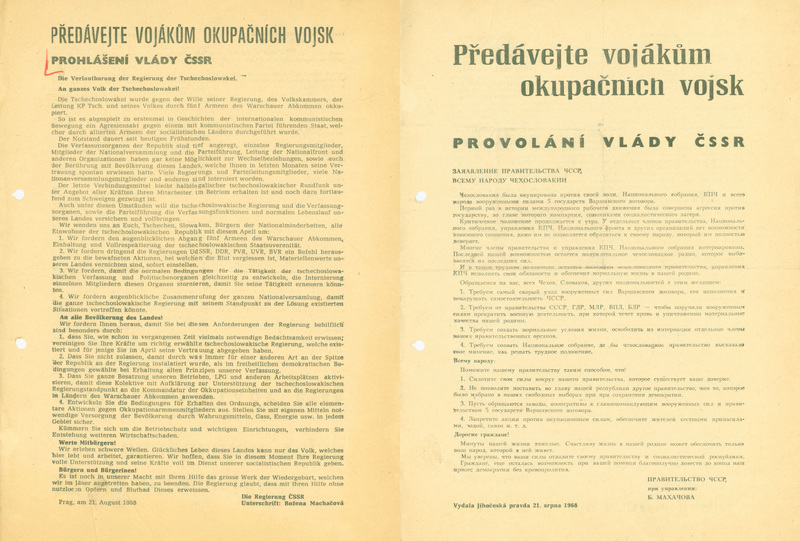 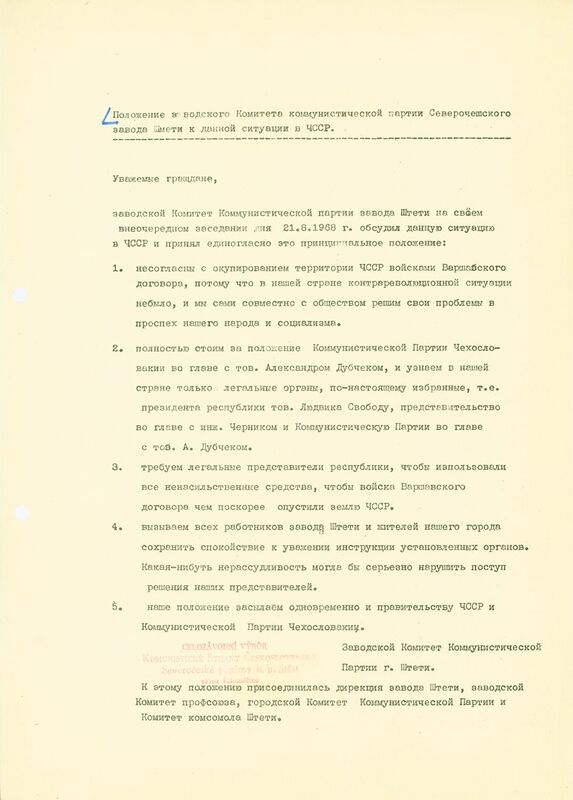 While most of these documents are written in Czech and in Slovak, some were written in Russian and in German. 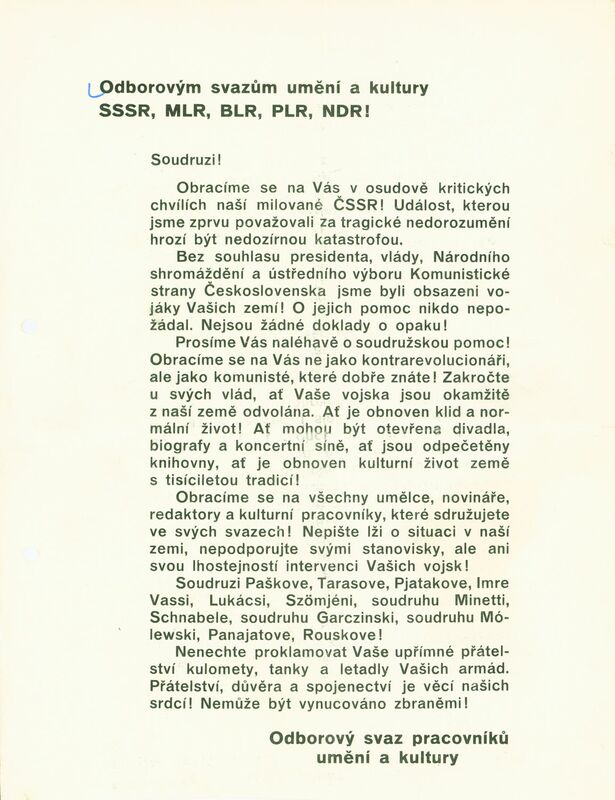 They are all part of our Czechoslovak Series HU OSA 300-30-14 Collection of Documents on 1968. 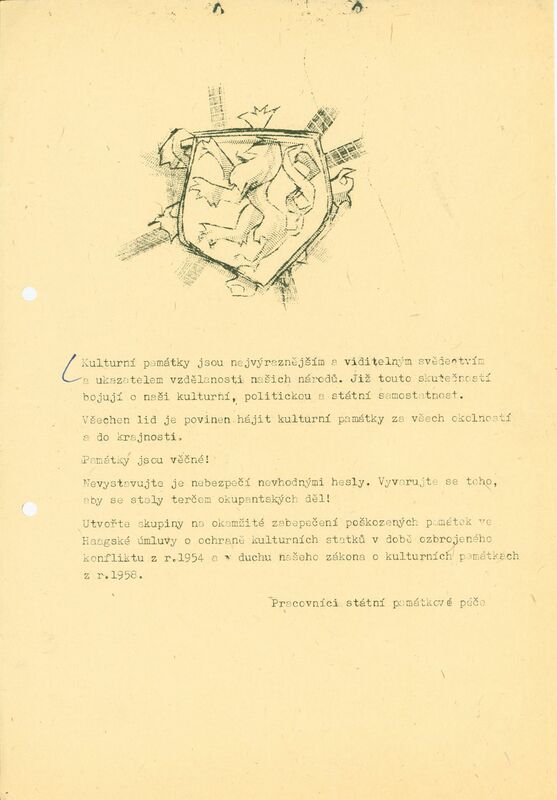 Do Friends Come to Visit with Tanks? 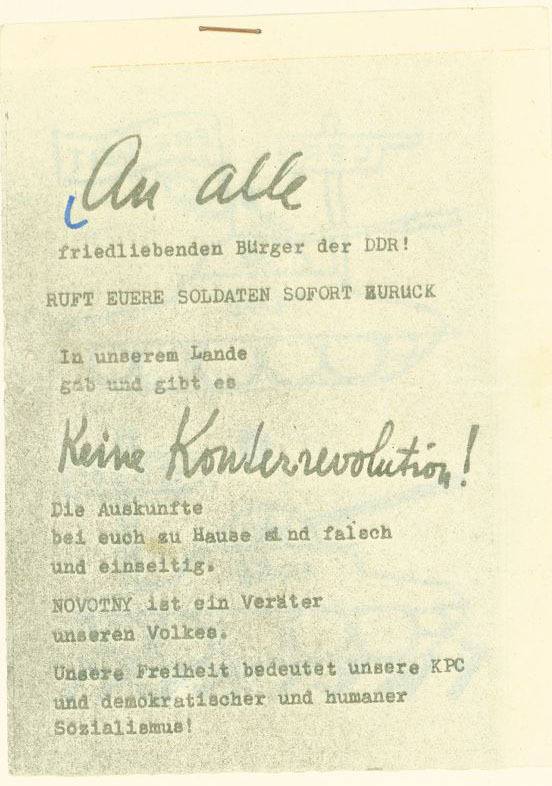 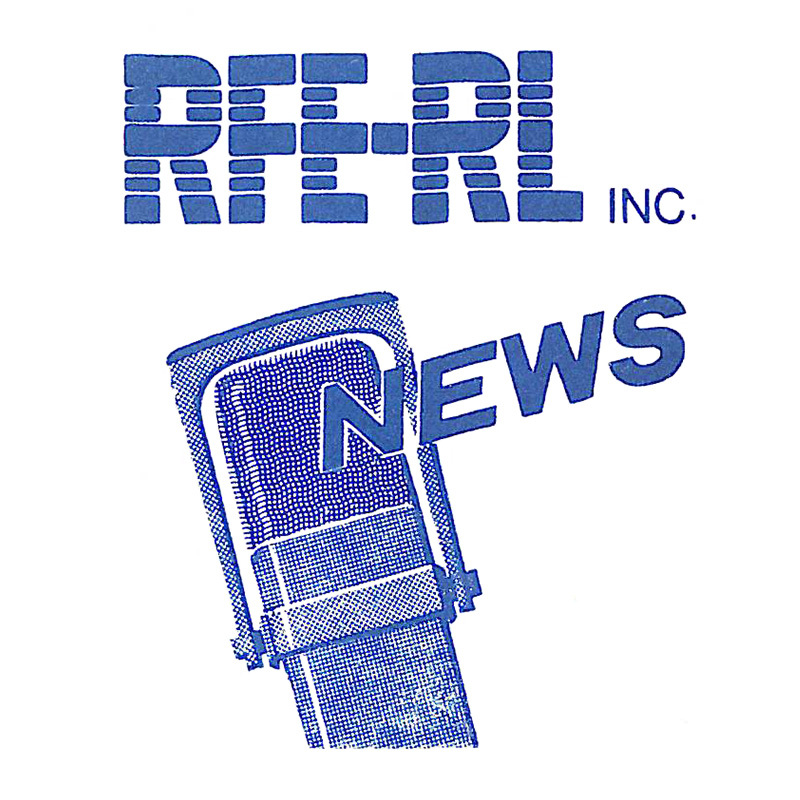 Appeal to the Peace-Loving Citizens of the GDR! 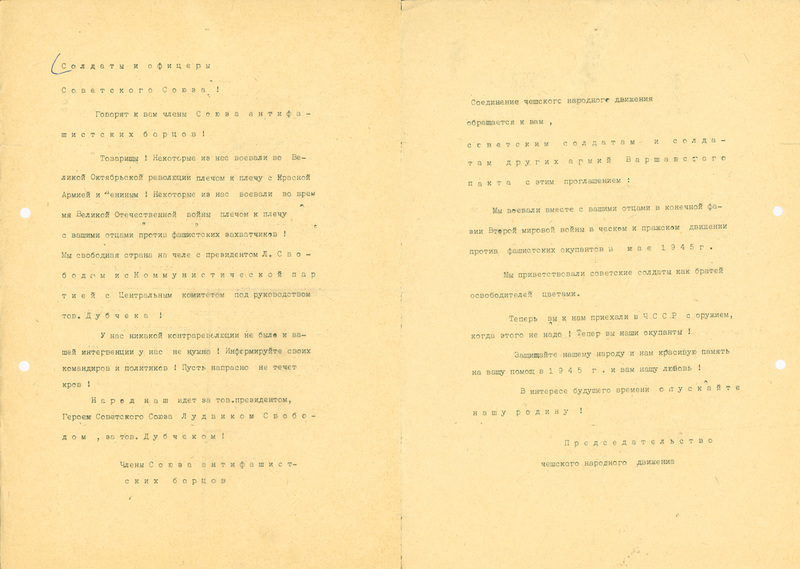 Who Speaks on Behalf of the Nation?